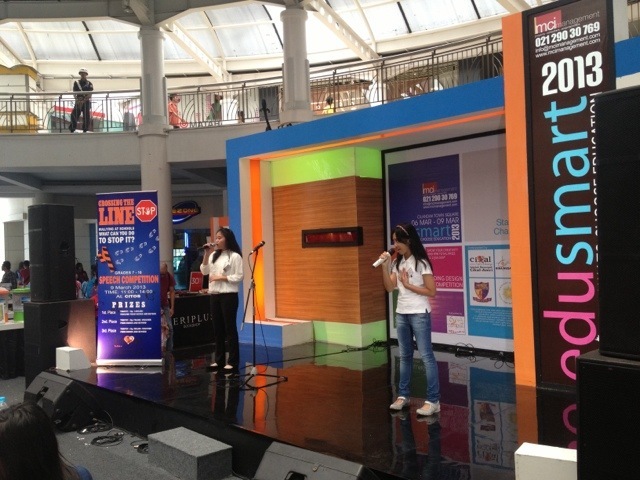 Aya and her friend Azzah were in stage in Citos this morning, duet singing in Education Fair held by their school, Cikal Amri. She did it very well, well enough to surprise me that my little girl is actually quite talented in singing! You go girl!